Let me start off by clarifying that I do not follow a paleo diet. I love food too much. Food makes me happy. If that’s wrong, then I don’t want to be right. That being said, if food can be made to taste good while being comprised of all natural, readily available ingredients, then I’m all in. 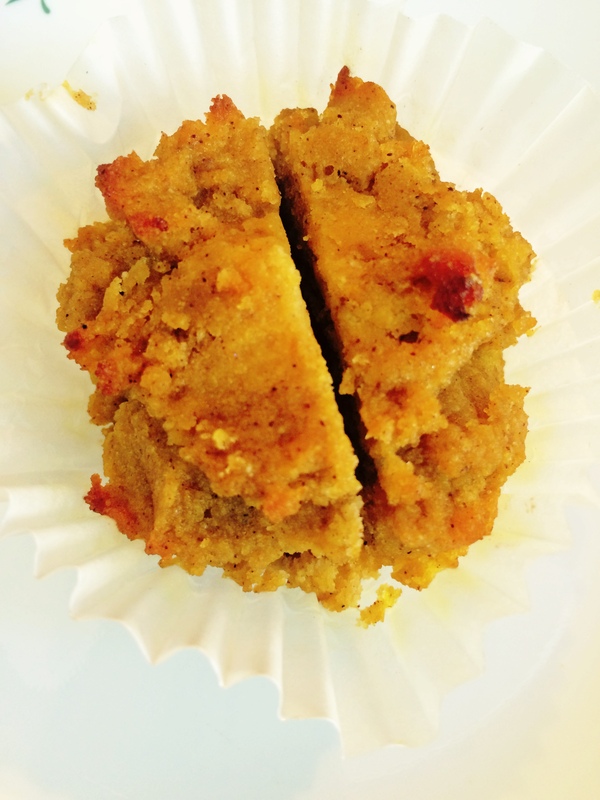 That’s why when I came across this recipe for Paleo Pumpkin Muffins from Empowered Sustenance on Pinterest, I was in – pumpkin PLUS minimal ingredients, minimal steps, and minimal dishes to clean up? Yes please. This recipe only required one bowl and a few measuring tools. The cleanup took me five minutes. Also, there was no need for an electric mixer, a whisk, or anything remotely involved – just one simple spoon to stir all the ingredients together! Now that’s my kind of recipe. 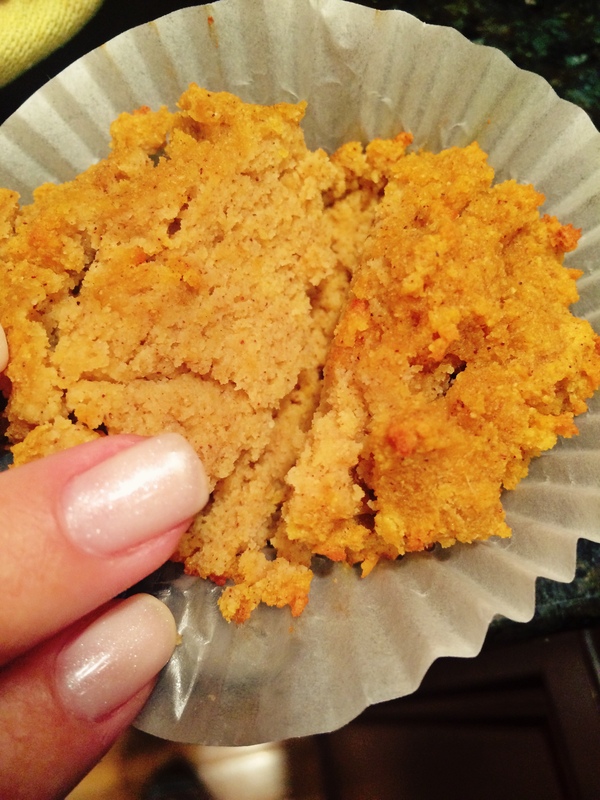 I’ll tell you which ingredients I used when the recipe gave an option: coconut oil instead of butter or lard, pumpkin puree instead of other veggies, raw honey instead of maple syrup, and pumpkin pie spice instead of cinnamon. I baked the muffins until the tops were golden brown, just as the recipe instructed. When I cut into one, it looked as if it was slightly underdone but I didn’t want to dry them out so I left them as is. I’m glad I did, because by the next morning they were a great consistency. The taste of the muffins is definitely more subdued than I’m used to, but the good thing is that I don’t think anyone on earth has a more intense sweet tooth than me. My mom, for example, loves desserts and thought these were perfectly sweet. For me, they may not make the perfect bedtime snack for my cravings, but they do make the perfect breakfast! They filled me up while keeping me feeling light and ready to start my day. I would absolutely make them again!